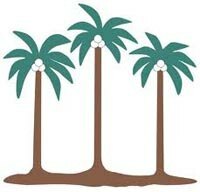 Although 2011 was the best year ever for most plantation companies, their December quarter results were a mixed bag. OSK continue to maintain Neutral stance on the sector. Although soybean and palm oil prices have strengthened of late, it is due to the threat of lower yields in the upcoming 1 or 2 months. For prices to sustain their run-up, demand has to stabilize and pick up, which have yet to see. Within the sector, OSK continue to like Sarawak Oil Palms despite their strong stock price performance. These are well run plantations with more organic production growth going forward.